A large, 19th century, French copper skimmer. This would have been used for skimming the scum when making jams and preserves. 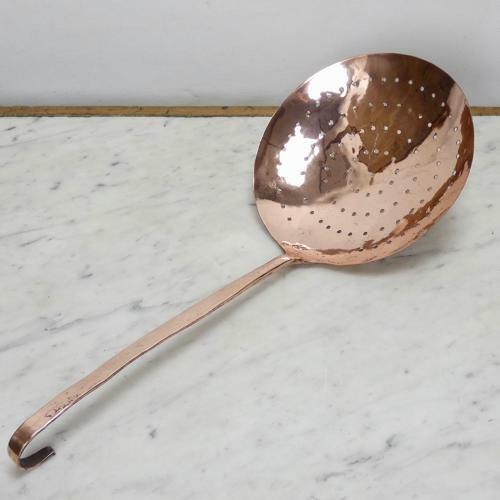 It is made from quite a light gauge of copper and it dates from c.1890. The pierced section is much larger than most and the handle has a turned end, shaped like a shepherd's crook, for hanging. It is in excellent condition. Price includes postage within the U.K. Shipping to the U.S.A. add £30. Western Europe add £10.